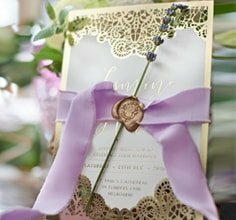 To achieve an impressive wedding invitation and stationery suite, match your enclosure cards to your Country Lace Pocket invitation to allow the design to flow through flawlessly. 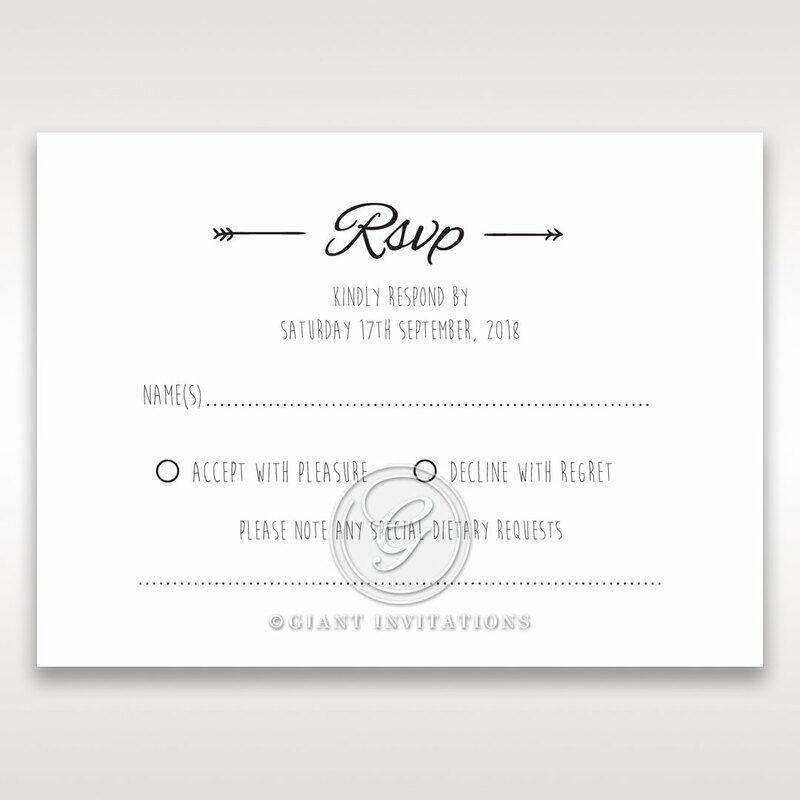 Such as this RSVP Card that features the same quirky lettering in thermographic ink which is our main printing technique on a textured stock to provide a touch of elegance to the design. As this stationery is completely customisable, you can include a personalised monogram at the top or customise the default RSVP wording to a more whimsical wording that will leave your guests impressed and excited to attend your wedding.